Junior Engineer Jr Assistant Syllabus 2017 is enclosed here. Applicants of MGVCL jobs know MGVCL Vidyut Sahayak Syllabus 2017 and start your exam preparation. 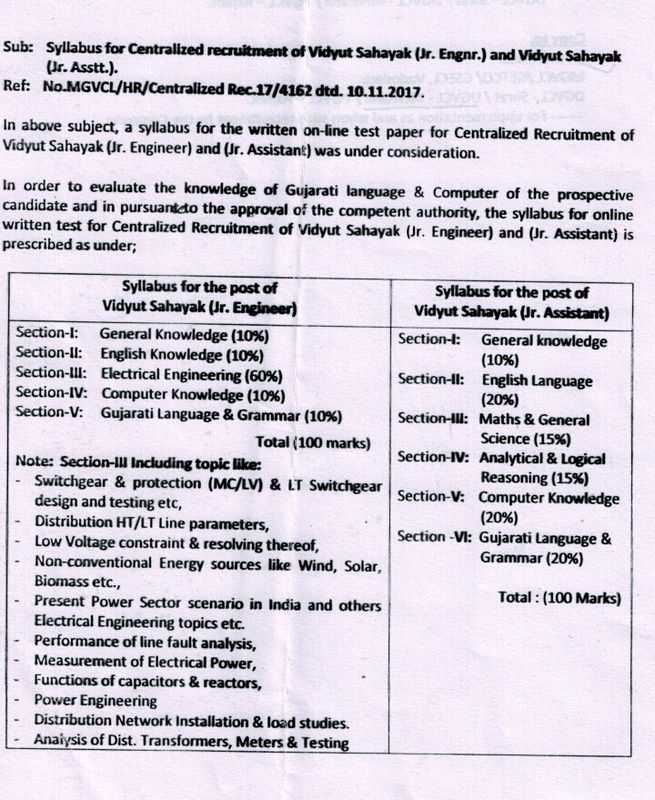 Along with the MGVCL Syllabus, we have also provided the Gujarat Urja Vikas Nigam Ltd Jr Asst Exam pattern here. Interested aspirants can also refer the official website www.mgvcl.com for the GUVNL Vidyut Sahayak Syllabus 2017. Go insight to know the subtopics of MGVCL JE JA Syllabus 2017.